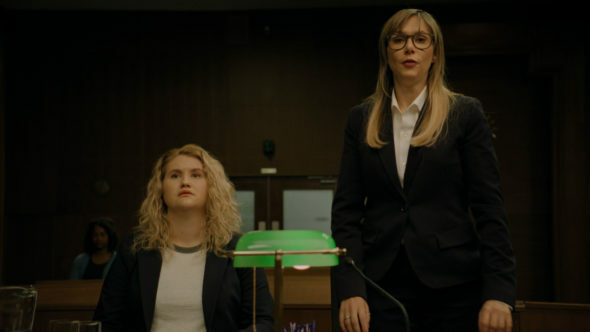 Performers include: Charlotte Newhouse, Jillian Bell, Stephen Root, Elizabeth De Razzo, Jennifer Elise Cox, Steve Berg, Steve Tally, Randall Park, Andrew W.K., and Chris Klein. A scripted comedy, Idiotsitter centers on Billie Brown (Newhouse). She’s a straight-laced, struggling Ivy League grad, who applies for a babysitting job to help her get by. The nanny ad was just a cover, though. Instead of the seven year old girl Billie expected to watch, she ends up with Gene Russell (Bell). Gene is an out of control party girl, who is under house arrest in her wealthy father’s mansion. She is in dire need of a guardian and tutor, so she can get her GED. Billie ends up taking the job for the cash. Gene’s father Ken (Root), is both clueless and over-indulgent, and the spoiled, reprobate Gene is the result of his leniency. As Billie struggles to get Gene in line, her wild charge gets her into a lot of trouble. What do you think? Do you like the Idiotsitter TV show? Do you think it should be cancelled or renewed for another season?